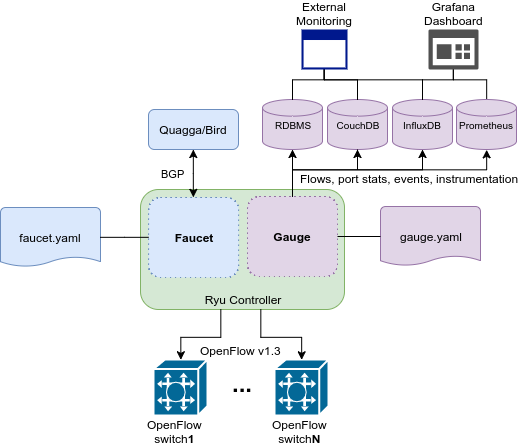 Faucet enables practical SDN for the masses (see http://queue.acm.org/detail.cfm?id=3015763). See unit and integration tests for working configuration examples. 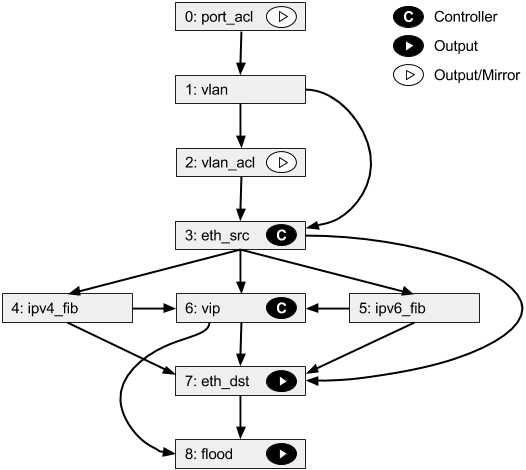 Send traffic destined for FAUCET VIPs including IPv4 ARP and IPv6 ND to the controller.